My thoughts: This is the 4th book in T.R. 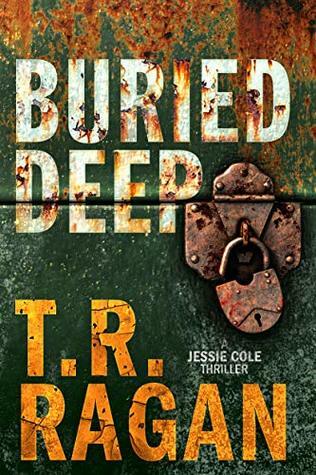 Ragan's Jessie Cole series and I am such a huge fan of this series. I love the characters and I love the cases that Jessie gets involved in and this latest installment is no exception! One of my favorites aspects of this series has been the astounding character development and to that, I have to give my usual plug for reading series in order. In this case, it just really makes the most sense as you will really get a better understanding of what drives some of the main characters and where they are coming from if you start with them from the very beginning and follow along with them in the series. That's not to say you cannot read each of these books any way you please. I just think you will have a richer reading experience following the order the author wrote them in. That being said, this book might be my favorite one yet. I think we really see the characters in their best light. I've come to really love Zee, Jessie's assistant. In this installment, she is working her first case and it's great. She's come such a long way, and while she does have quite a way to still go, I love her...and her voices and tarot card readings. There are three main threads we follow throughout this book and this really keeps the book moving forward. There's the case Zee is working on, there's the case Jessie takes on - a missing girl who is due to inherit quite a bit, and there's Ben's story, which gets caught up in Colin's case. The question that continues to linger with Ben is is he a murderer or not. The book moves back and forth between all three and keeps the suspense moving as you wonder just where things might head. I'm not sure if this is the last book in the series or not...it kind of had that wrap-up, final feeling to it, yet I could also see another book coming down the line. It's hard to tell. I hope there is more, but I would be satisfied with that ending...and will certainly be reading more T.R. Ragan in the future, for sure!!! Audio thoughts: I was stoked to see that Kate Rudd was the narrator of this book. She has been narrating this entire series and it's like reconnecting with old friends. She is so consistent with the voices that I had no trouble getting back into the swing of things with this book and remembering just who everyone was...and that's why I love listening to series on audiobooks when the narrator is the same. Kate infuses just the right amount of tension and suspense or humor into her voice as needed and her pacing and tone is spot on. I enjoyed listening to this entire series on audio and Kate Rudd made is that much more enjoyable!